Whether it’s noisy neighbors, fireworks, or a thunderstorm, dogs can often be exposed to situations that trigger anxiety. Just like people, some dogs are more anxious than others, and may need a little help remaining calm. Luckily, petcare experts have developed the perfect solution: dog anxiety wraps. These simple devices can be worn by dogs as a garment, providing a soothing pressure that promotes calmness. If you’ve ever felt comforted by a hug or a cozy duvet, you’ll already be familiar with the mechanism by which dog anxiety vests function. If you think your pooch could benefit from a dog comfort vest, read on. Below, we run through the top 10 vests available on the market right now, so you can make an informed decision for your canine companion. To help your pet get the most out of their new comforter, we’ve also compiled a handy usage guide. Here, we discuss everything you need to know about dog anxiety vests; how to introduce them to your dog, when they’re most effective, and how to care for them. Kicking off our list is this Thundershirt for dogs. 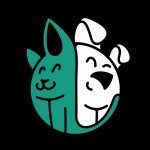 Thundershirt are a well-known name when it comes to anxiety vests, and their patented design is carefully crafted to allay all kinds of anxiety, fear, and even over-excitement in our pooches. The comforting shirt exerts just enough pressure to help your dog feel protected and calm. Over 80% of Thundershirt users noticed a marked improvement in their pet’s anxiety levels during use, placing it among the most successful on the market. As its name implies, this handy thunder coat is perfect for keeping dogs calm in stormy weather. It also has plenty of additional uses, helping dogs to keep calm and carry on through travel, visits to the vet, separation anxiety, and even problem barking. 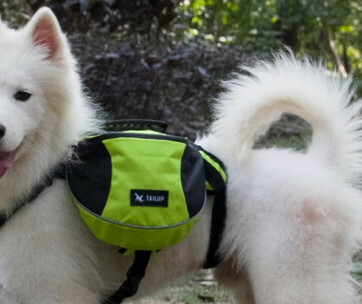 Whatever the source of your dog’s anxiety, this vest is an easy to use solution. Simply wrap it around their body like a jacket, and let the comforting pressure get to work. 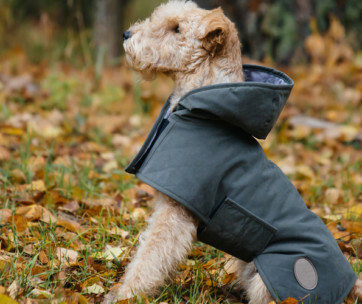 Available in seven different sizes, the coat is perfect for every dog – from tiny pups to giant breeds. American Kennel Club have also earned a spot on our list, with their highly effective thunder wrap for dogs. This calming coat offers soothing relief from all sorts of anxiety triggers, including fireworks, thunderstorms, travel, and even veterinary visits. This calming vest is also easy to use – you can put it on your pooch in four simple steps, offering almost immediate relief from anxiety. 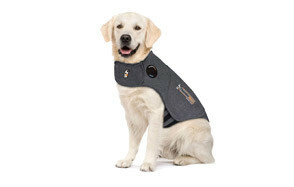 Available in five different sizes, canines of all sizes are sure to be covered by the vest. It can also be had in three soft colors, for a cozy look. Each coat works to apply a constant, soothing pressure to your dog’s torso, similar to the pressure applied through swaddling a child. Studies have shown that this method effectively calms the majority of dogs, making it a simple, drug-free anxiety solution. Owners say the vest fits well, and relieves anxiety in their canine companion fast. 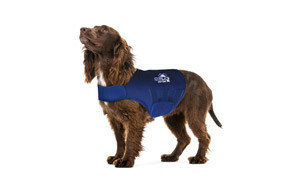 Mellow Shirt have also made it onto our list, thanks to their soothing thunder jacket for dogs. Just like Thundershirt, Mellow Shirt claim an impressive success rate of 80%, making their jacket a great solution for the vast majority of anxious dogs. The wrap works by applying gentle pressure, consistently, to your dog’s torso. Just like humans receiving a hug, dogs find this pressure very soothing, giving them the confidence to get through many stressful situations. It’s the perfect way to keep your dog calm in all kinds of situations, from fireworks, to car journeys, to vet visits. Each vest is made from a lightweight and breathable fabric, keeping dogs cool as well as calm. It’s one of the easier wraps to use, too, secured to your pet in just two easy steps. The carefully considered design keeps dogs calm without restricting their movement, and is available in six different sizes, catering to practically any dog. This high quality, effective vest is also available in six attractive colors, so your pooch can keep calm in style. As their name suggests, Comfort Zone are on a mission to keep dogs comfortable – even in stressful situations. Their effective calming vest has been proven to reduce the symptoms of stress in your canine companion. Gentle pressure from the garment naturally soothes anxiety in all kinds of stressful scenarios – from thunder and lightning, to long trips in the car, to vet visits. Each vest is made with soft, breathable fabric, keeping dogs comfortable as well as comforted. The fabric is stretchable, too, ensuring a snug fit that won’t restrict your pooch’s movement. The machine washable vest is also designed to give maximum torso coverage without becoming an impediment. You can put it on your dog in three simple steps. For extra calming relief, Comfort Zone also produce a Calming Spray, which can be applied to the vest itself in a specially designated spot. Available in five different sizes, each featuring adjustable straps, every dog should be able to find their perfect fit. Thundershirt have earned themselves a second spot on our list of thunder vests for dogs, thanks to their sport style jacket. Perfect for keeping dogs calm on the go, the jacket features reflective logos for great visibility outdoors. It’s made from a soft, durable fabric, lightly quilted for extra comfort. It works by applying gentle pressure to your dog’s torso, helping them feel soothed in stressful situations. 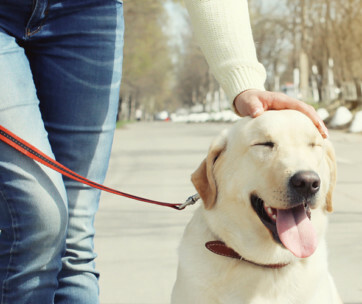 If your pooch encounters a stressful situation outdoors, this could be the perfect solution. For your convenience, the shirt is machine washable, and easy to put on. Thanks to adjustable velcro straps, you can even tailor the level of pressure to meet your dog’s needs. Every Thundershirt product includes a 100% money back guarantee, backing up their 80% success rate. 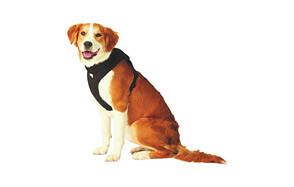 Available in seven different sizes, and two soft colors, the vest is suitable for anxious dogs of all shapes and sizes. If you’re looking for a vest to use outdoors, Surgi Snuggly’s may just be the perfect option. The unique design can hold diapers in place if necessary, and this section folds back easily so that dogs can do their business. Made from durable and breathable fabric, the vest is comfortable for dogs to wear, even for extended periods of time. Thanks to its antimicrobial properties, the fabric also remains hygienic and odor-free use after use. The jacket is easy to place on your pet, with a series of adjustable velcro straps. It applies a gentle, soothing pressure to the majority of the torso, providing a calming presence for anxiety-prone dogs. Surgi Snuggly say that their unique vest can also be used to promote healing after surgery. The soft, antimicrobial fabric can protect wounds from damage and licking, helping your pet get back on their feet much faster. Available in a whopping 14 different sizes, the vest is guaranteed to fit almost any breed. The next dog anxiety vest to earn a spot on our list is by Petmate. Their unique device offers proven relief to anxious dogs, using a clever system of acoustic vibration therapy. Each vest features a special pocket, which houses a small vibrating unit. The pouch has been carefully placed over an acupressure point on your dog’s spine, so that when the unit is activated, its special NeuroSync technology soothes them with music, tones, and vibrations. With eight programs to choose, from finding the most effective option for your dog is simple. The jacket can be used with or without this unit – on its own, it exerts a gentle soothing pressure onto your dog’s torso, keeping them calm in the face of anxiety-inducing circumstances. Owners say that the vest and unit combination is perfect for dogs with separation anxiety, and fits very well in the majority of cases. With five different sizes to choose from, this comes as no surprise. Emmy’s have also found a spot on our list, thanks to their effective and attractive anxiety jacket. Made from soft fabric, the jacket applies a gentle, soothing pressure to your dog’s torso, keeping anxiety at bay without the need for medication. It’s ideal for helping pets cope with everything from fireworks, to thunderstorms, to travel. The jacket is easy to use, fitting comfortably into place with adjustable velcro straps. The attractive two-tone design is something of a novelty in the world of anxiety vests, and looks great on any dog. Owners say that this simple but effective product works exactly as advertised, keeping anxiety at bay and reducing the harmful symptoms that can stem from this emotion. With a variety of sizes to choose from, it’s bound to fit almost any pooch, great or small. They may be better known for their fun puzzle toys, but KONG have turned their expertise towards this dog anxiety vest to great effect. The unique design cradles most of your dog’s body, applying a soothing pressure that helps to keep anxiety at bay. Each vest is also enriched with a lavender sachet, known for its soothing properties. The jacket not only helps dogs to feel better, it also helps to correct the bad behavior associated with anxiety – such as obsessive chewing and licking. The versatile, wraparound design is easy to put on, and suitable for all sorts of scenarios, from fireworks and thunderstorms to separation anxiety and meeting new people. The jacket also features a reflective trim, helping your pooch to be seen at night. Thanks to this little addition, and the fabric’s durability, this vest is perfect for both indoor and outdoor use. With seven sizes to choose from, pooches of all shapes and breeds are sure to find their perfect fit. Owners love the striking design, and say that this vest is a valuable part of their anti-anxiety routines. Last, but not least, comes this versatile anxiety jacket by Eagloo. Like all anxiety jackets, it works by applying a gentle, constant pressure to your dog’s torso – Eagloo compare the sensation to receiving a hug. Each jacket is easy to take on and off, with a simple three step process. Thanks to multiple velcro straps, the jacket is convenient to adjust, allowing you to pick the perfect level of pressure for your pooch. Suitable for use during fireworks, thunder, separation anxiety, and comforting pets in strange places, the jacket is a safe and effective way to help your dog stay stress-free. It’s also easy to clean, thanks to machine washable fabric. With its breathable design, pooches will find the vest comfortable to wear even for extended periods of time, too. Whether you’re in the house, or out and about, Eagloo have you covered – dogs will love the soothing influence of this jacket, available in a variety of sizes to fit almost any pet. 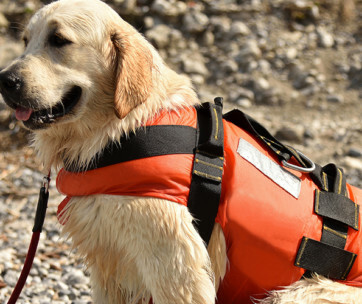 These 10 vests are the best of the bunch when it comes to keeping dogs safe and calm in potentially stressful situations. 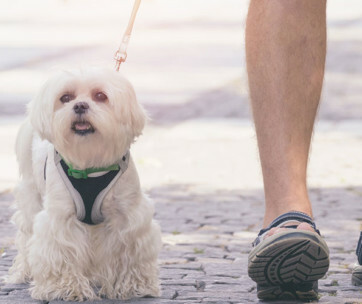 To help you work out which one is right for your pooch, and get the most out of whichever option you pick, we’ve compiled this handy buying guide. Even the best anxiety vest is useless if it doesn’t fit properly! Before making any decisions, measure your dog around the chest and neck, as well as down the length of their body. Use these measurements to work out which size is best as you browse. Remember that, just like harnesses, a good anxiety vest should be snug, but not tight - you should be able to slide two fingers between the vest and your dog’s coat with ease. A good anxiety vest is built to last, offering your og comfort for years to come. To ensure a vest is durable, look out for a strong synthetic fabric, and simple fastening devices. If you’ve never used one of these vests before, we’d recommend sticking to pressure application alone. You still don’t know how your dog will react to this new sensation, after all, without introducing others into the mix. The possibilities are virtually endless! Wherever your dog displays symptoms of anxiety, using one of these vests could help to alleviate this. How Dog Anxiety Vests Work? Dog anxiety vests are a safe and reliable alternative to anti-anxiety medication. They work by applying constant, gentle pressure to your dog’s toso, mimicking the soothing embrace they will have experienced as a puppy. At the moment, there have been few scientific studies examining the effectiveness of these jackets, but many owners find them to be extremely effective. Vitally, they’re also much safer than drug-powered anxiety cures. Because all dogs are different, anxiety vests won’t work for all of them, which is why many manufacturers offer a money-back guarantee if this solution just isn’t for them. For severe and generalised anxiety, it’s a good idea to speak to your vet in addition to trying a vest. A: Most anxiety vests are machine washable, but you should always check the label before throwing it in. Some vests feature an antimicrobial coating that could be adversely affected by the hot water and detergent. For these vests, hand wash in warm water with a little odorless soap. A: Provided your dog is used to the sensation of the vest, you should be able to leave it on them for extended periods of time - eight to 10 hours. However long your dog will wear the shirt for, be careful to ensure it’s properly fitted. It’s also a good idea to gradually build up to long periods of wear, to ensure your dog is as comfortable as possible. If they aren’t used to the sensation, the pressure of the vest could exacerbate their anxiety rather than receiving it. Remove it immediately. The vest may have been too tight, your dog may not enjoy the sensation, or allergies could be at play (especially for vests infused with essential oils and calming sprays). Wash and dry the vest before your next attempt, being careful to ensure that it’s properly fitted. If your dog still appears irritated or distressed, remove the vest again. For alternative anxiety solutions, get in touch with your vet. For us, the best dog anxiety vest has to be Thundershirt’s patented design. Carefully crafted to swaddle your dog with just the right amount of pressure, without restricting their movements, the vest naturally soothes canine anxiety. It’s available in seven different sizes, so you’re sure to find the perfect fit for chihuahuas and Great Danes alike. The vest is incredibly easy to use, and owners found that dogs became used to the sensation in a short space of time. With a 100% money back guarantee and 45 day return window, Thundershirt are confident that you and your pooch will love their anxiety vest. Owners say that this vest is the perfect alternative to anti-anxiety drugs, soothing pooches in a safe but effective manner. It’s durable, easy to use, and machine washable, too, making it as convenient as it is effective. 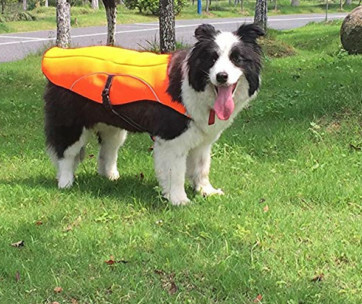 Boasting a success rate of 80%, the vest is a must-try for any anxious pooches out there.